Ann is a bright, happy poppy color. I struggled a bit with the formula – it can be a little streaky – but the color payoff in the end is worth it. This one isn’t worth full Julep price, however. Definitely wait for a sale. 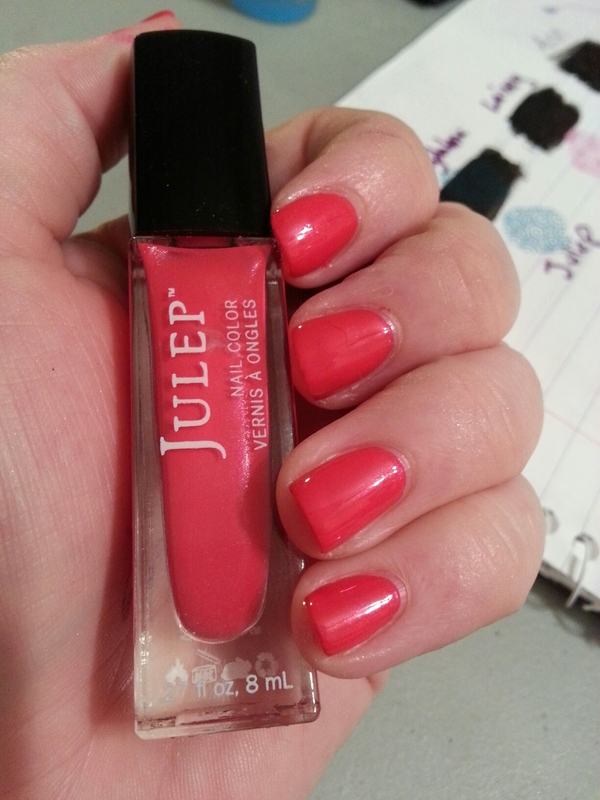 This entry was posted in Nail Polish Collection and tagged cream, julep, nail polish, orange, red, swatch, swatches on February 8, 2016 by Mel. Unlike yesterday’s, this coral leans orange. It has a slight shimmer but appears to be a cream on the nail. Opaque in 2 coats. 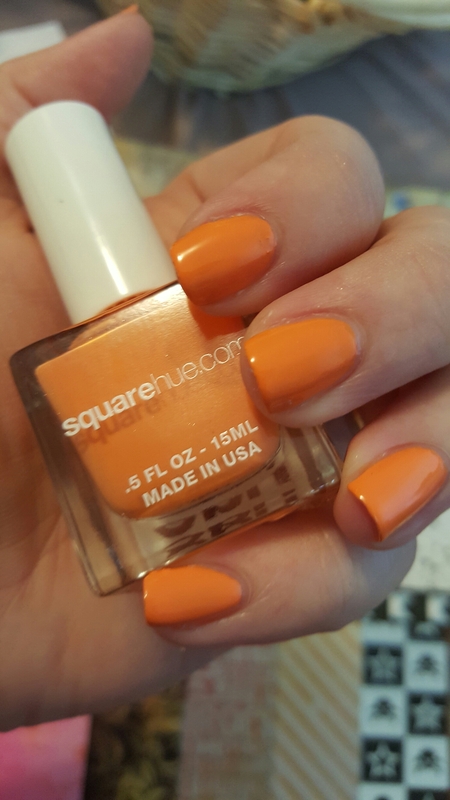 This entry was posted in Nail Polish Collection and tagged julep, nail polish, orange, shimmer, swatch, swatches on December 27, 2015 by Mel. Every time I go home, Mom and I have a mani night. This last time around I took the fall KB Shimmer collection with me. 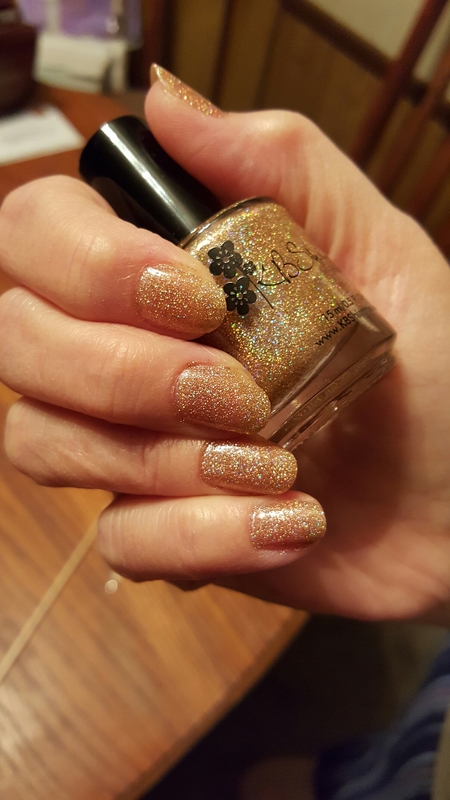 Mom picked this lovely muted orange linear holographic glitter and agreed to be my hand model for the swatch. She’s a natural – and really making me re-think my nail shape. She went with two coats, which was still slightly sheer, so three coats might be needed for full opacity. 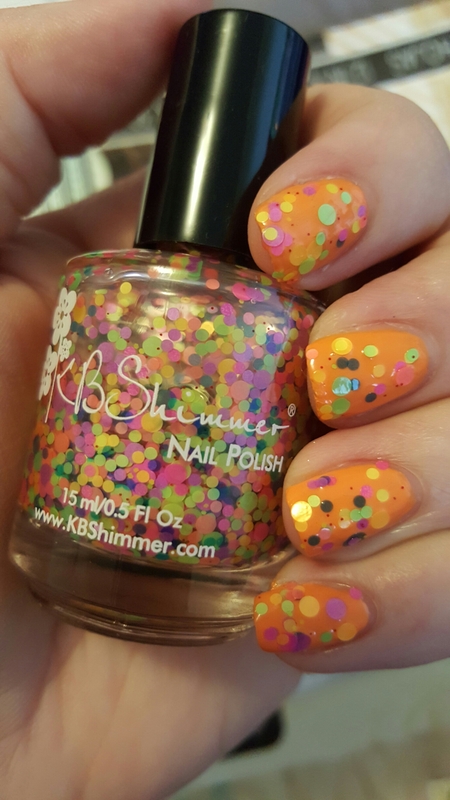 This entry was posted in Nail Polish Collection and tagged glitter, holographic, indie nail polish, indie polish, kb shimmer, nail polish, orange, swatch, swatches on November 22, 2015 by Mel. This lovely copper metallic is opaque in 1-2 coats. 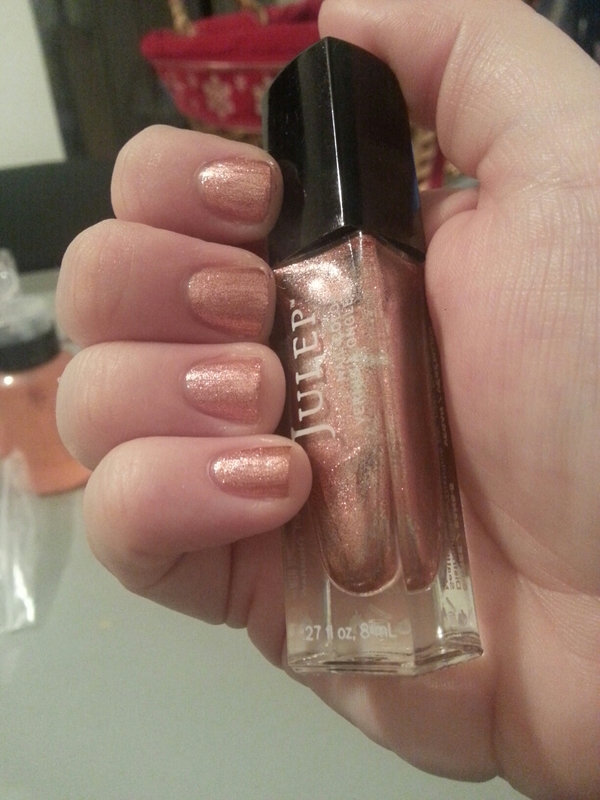 This entry was posted in Nail Polish Collection and tagged julep, metallic, nail polish, orange, swatch, swatches on November 12, 2015 by Mel. 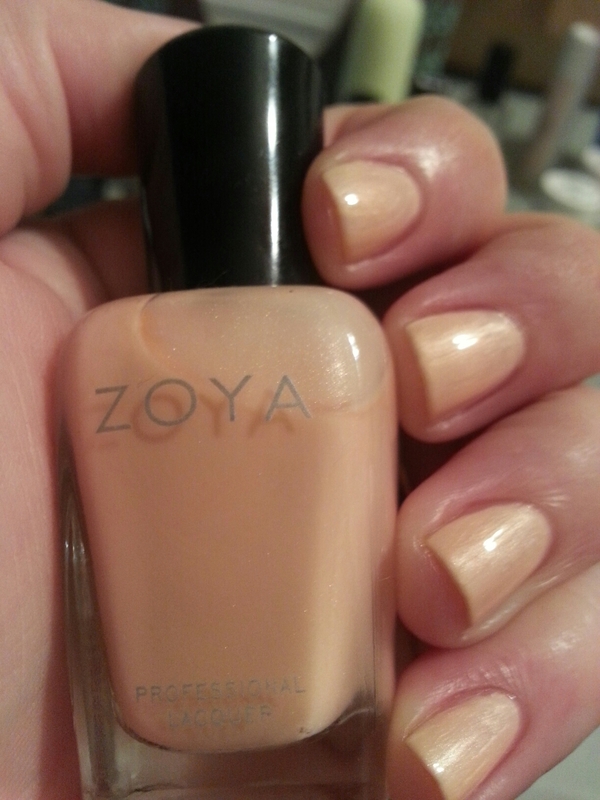 This light, frosty peach doesn’t have the best formula Zoya’s ever come up with, but it’s not bad. For best results, use 2-3 coats. 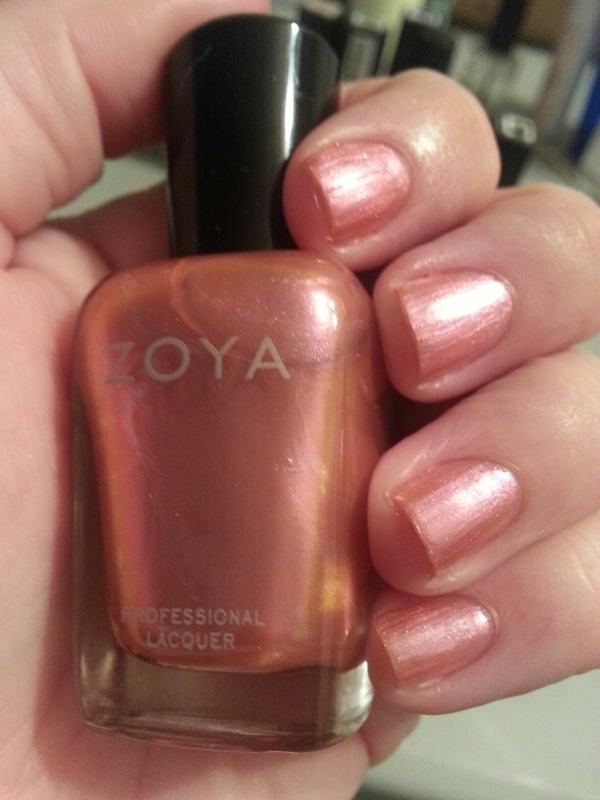 This entry was posted in Nail Polish Collection and tagged frost, nail polish, orange, peach, swatch, swatches, zoya on November 6, 2015 by Mel.